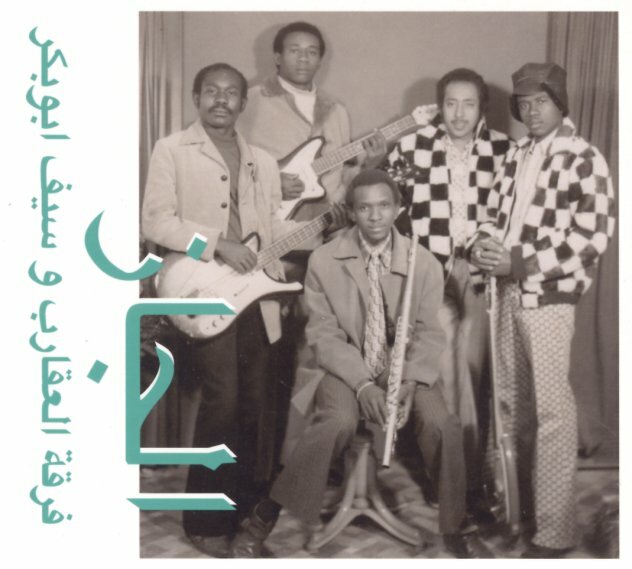 A fantastic set from the Sudanese scene of the 70s – served up by a group who've definitely got all the jazz promised in the title, but who also have a special vibe that's all their own! The rhythms are nicely jagged – sometimes rolling and romping, almost with a South African jazz approach – other times a bit more stark, and almost always topped by superb reed lines that almost echo some of the Ethiopian jazz styles of the period – but again, with a very special sound of their own! A number of tunes have vocals – nicely snakey, and not entirely tied to the rhythms – and there's also lots of cool organ in the group, too – over riffing guitar that moves along strongly with the drums. The sound's a bit hard to sum up in words, but is every bit as cool as you could hope from the cover and title – and tracks include "Nile Waves", "Azzah Music", "Hilwa Ya Amoora", "Bride Of Africa", "Seira Music", "Saat Alfarah", and "Farrah Galbi Aljadeed". © 1996-2019, Dusty Groove, Inc.